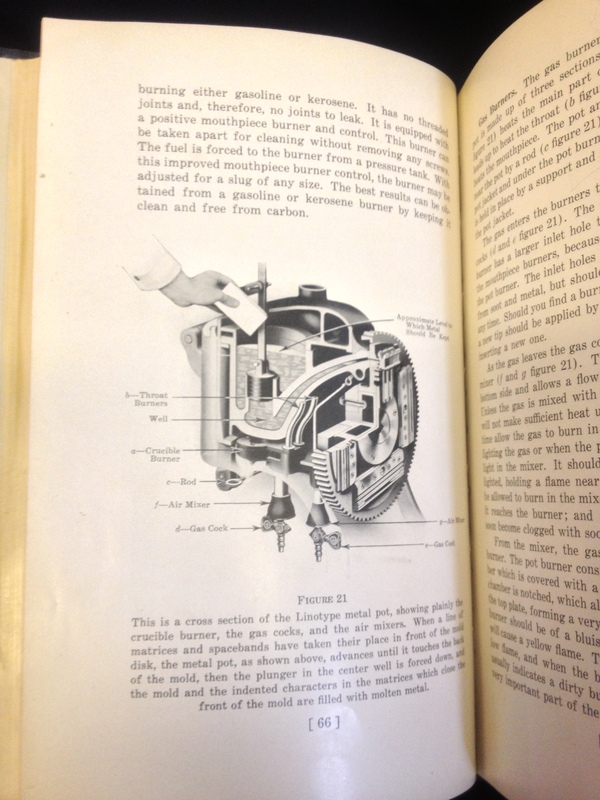 Just a quick post with updates on some of the latest additions to Special Collections. 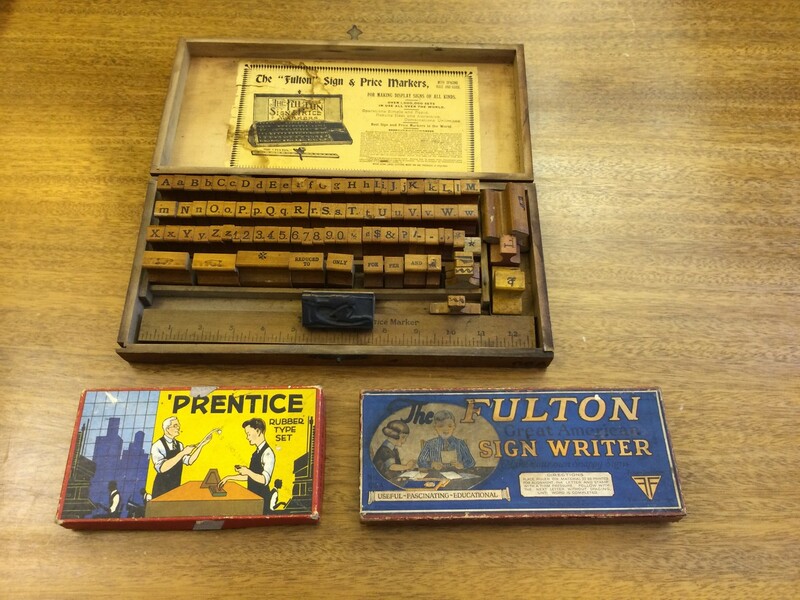 Another donor has given us a collection of toy printing/sign-making sets. 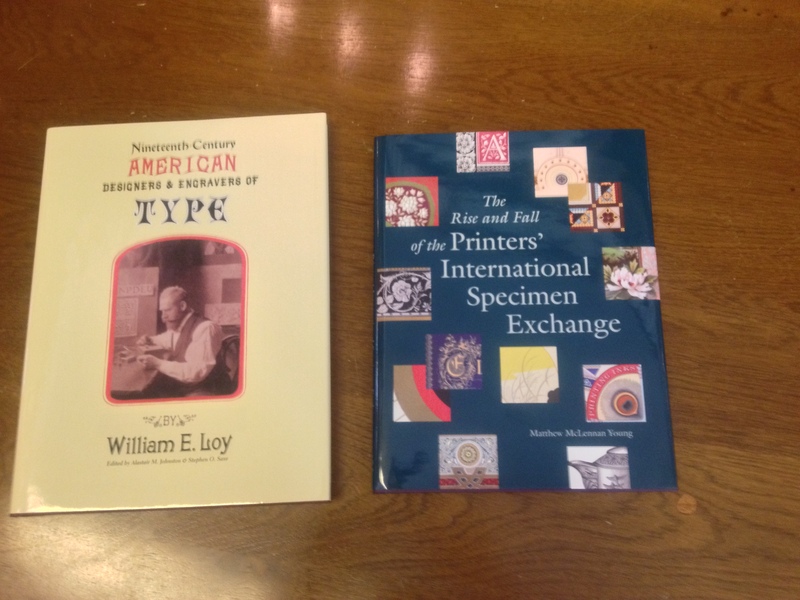 They’ll join our Updike Collection on the history of printing. And a very fun item that you’ll have to visit to get a proper sense of. 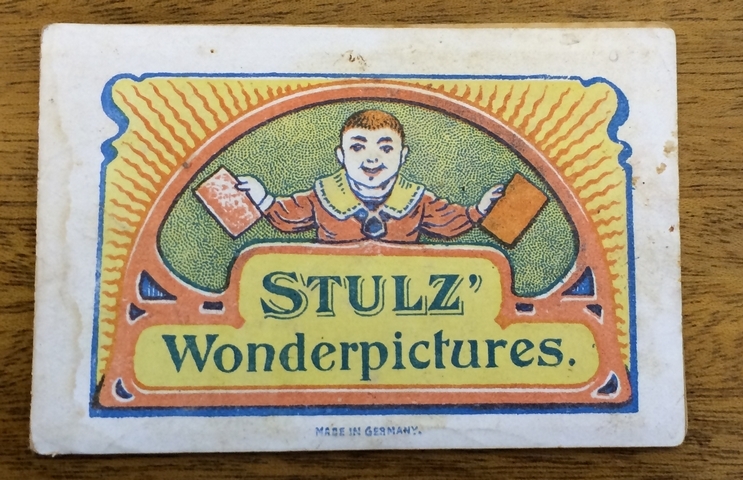 “Stulz Wonderpictures” is a small advertising booklet that doubles as a visual toy. 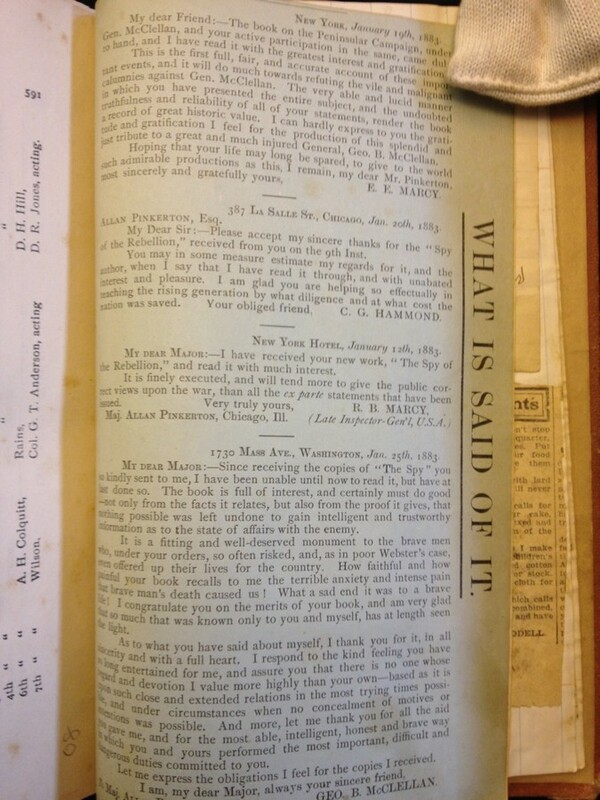 The images inside are printed in two colors and in such a way that the first image presents a scene and text (“Where are the fish?” for instance, with a picture of a fisherman). When the included red plastic sheet is placed over the image the original scene disappears and a new one takes its place (in the example above, fish swimming in a stream). 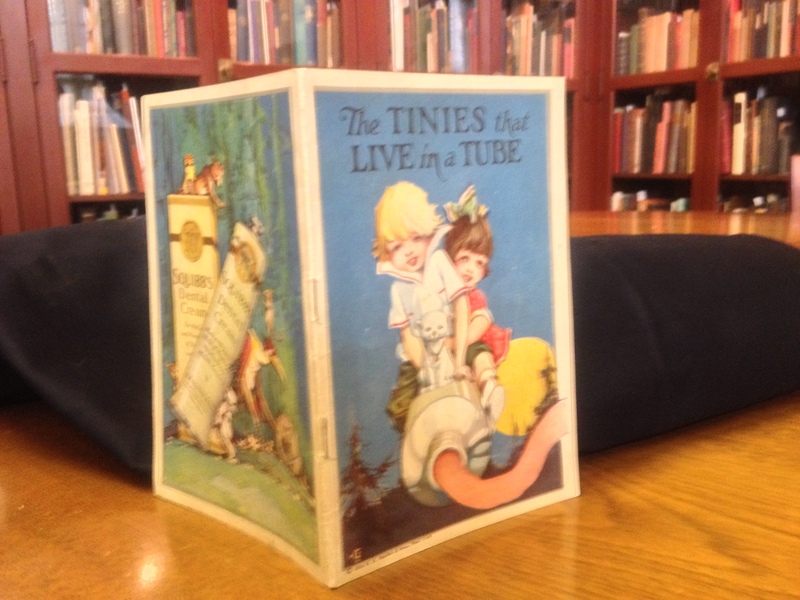 Not only is it a whimsical complement to our children’s collections, it’s a fascinating piece of printing ephemera. And best of all, this amusing toy, seemingly aimed at children, advertises whiskey made by the Stulz Brothers company in Kansas City, Missouri. 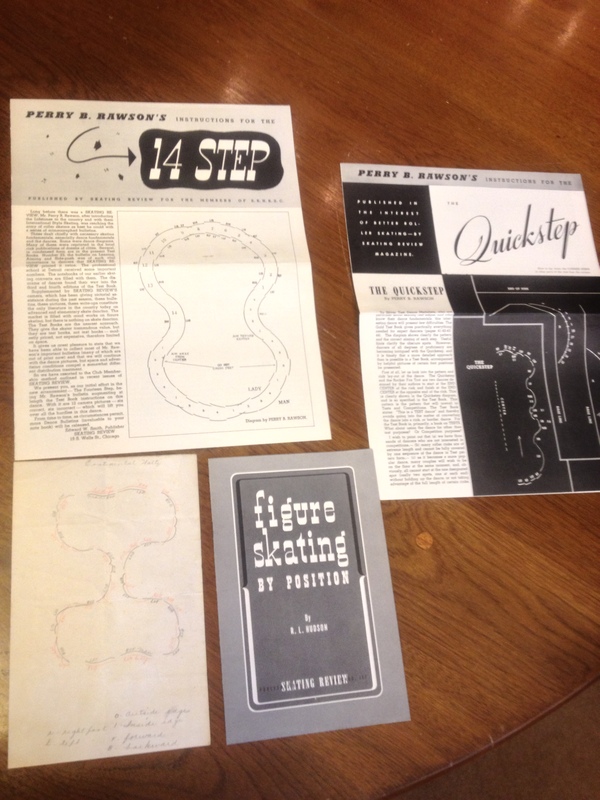 Latest Additions: How to Run a Print Shop, Brush Your Teeth, Save Money, Etc. 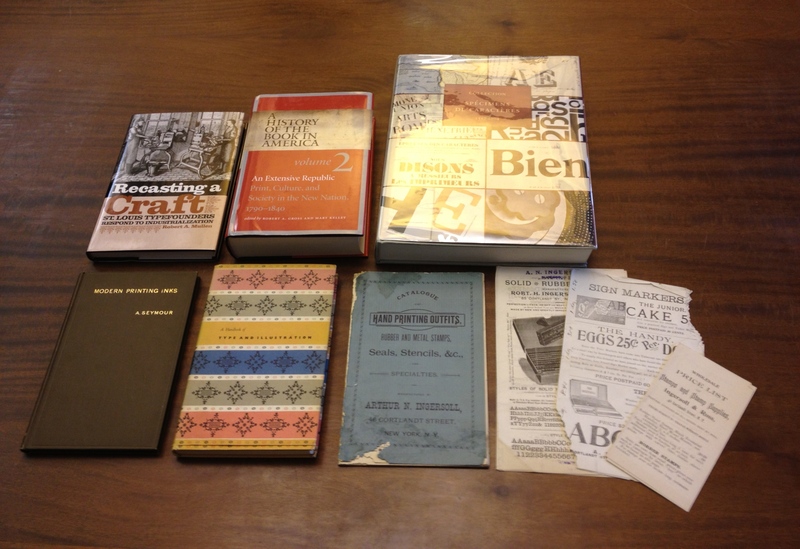 It’s been a while since the latest post about new additions to Special Collections, so here are notes on items that have come in during the last month or two. If forced to choose my single favorite category of books, I’d probably go with what you might call practical books: books that have a job to do in the world and get that job done. 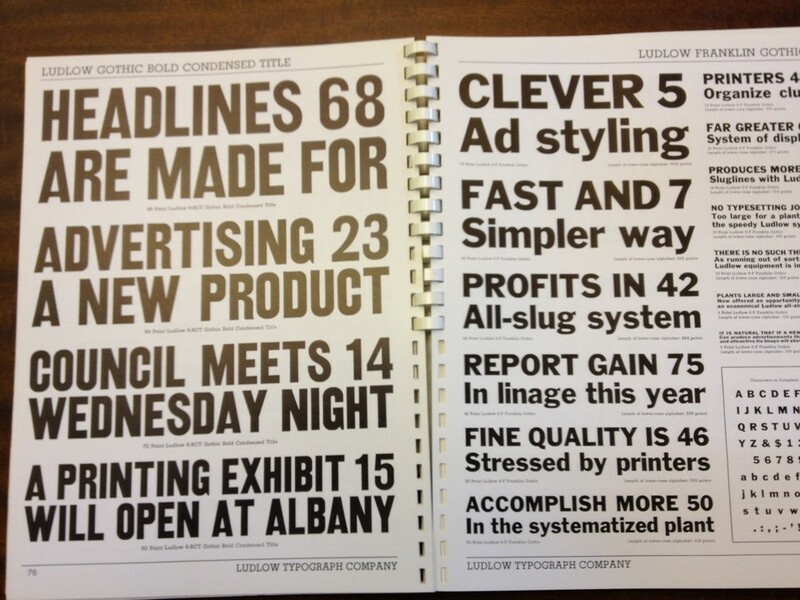 They’re not always pretty — sometimes they feature page after page of numbers and lists. 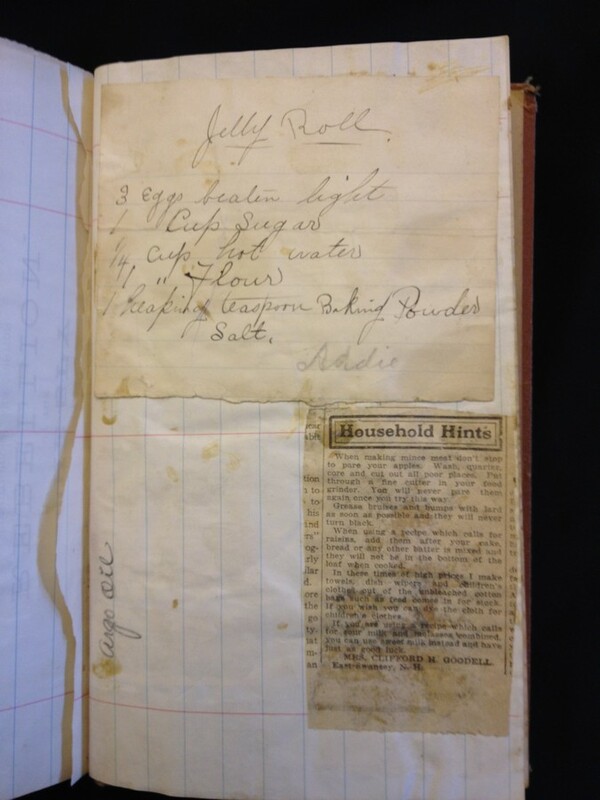 Often they show signs of being roughed up, marked up and stored in less-than-ideal locations. 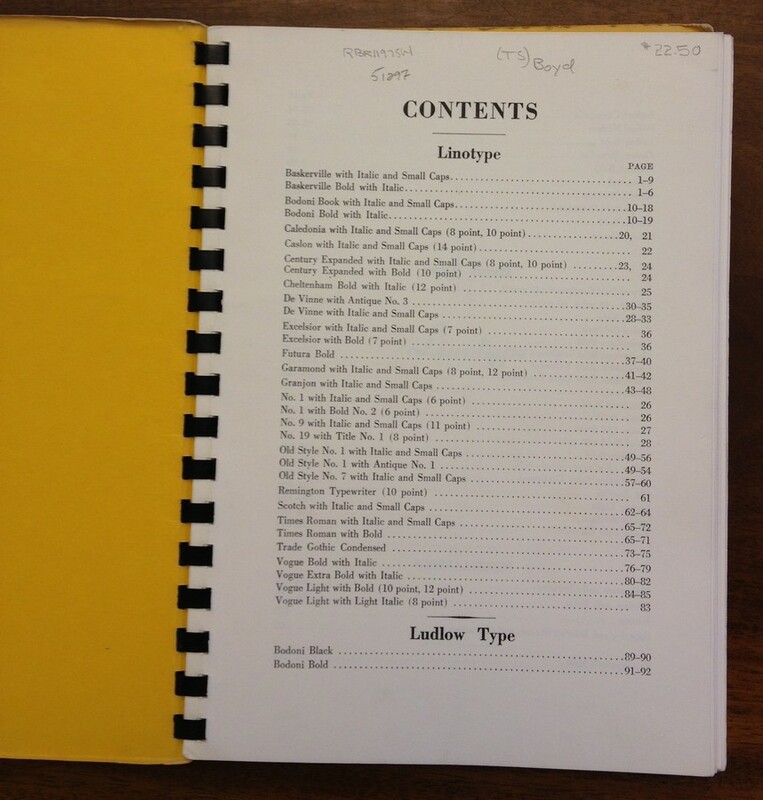 One such class of items in our Updike Collection is books on print shop management, and the first two shelves of books in the image above are new additions in that category. 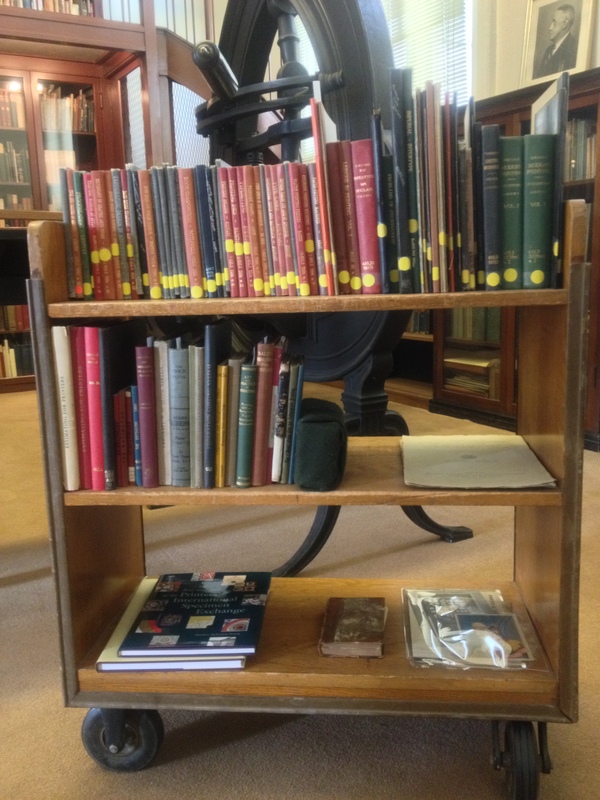 The first shelf are transfers from our general, circulating collection. 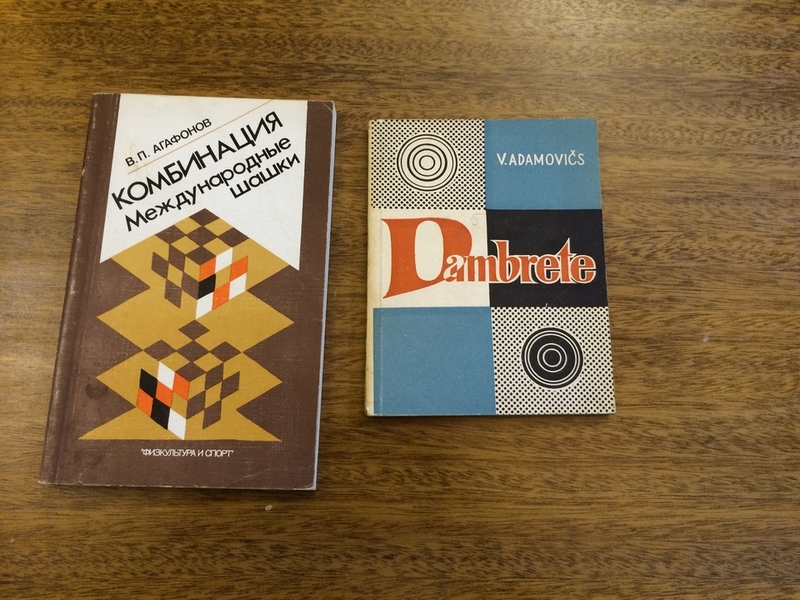 One of our sharp-eyed librarians noticed them in the stacks and asked if I was interested. I certainly was. 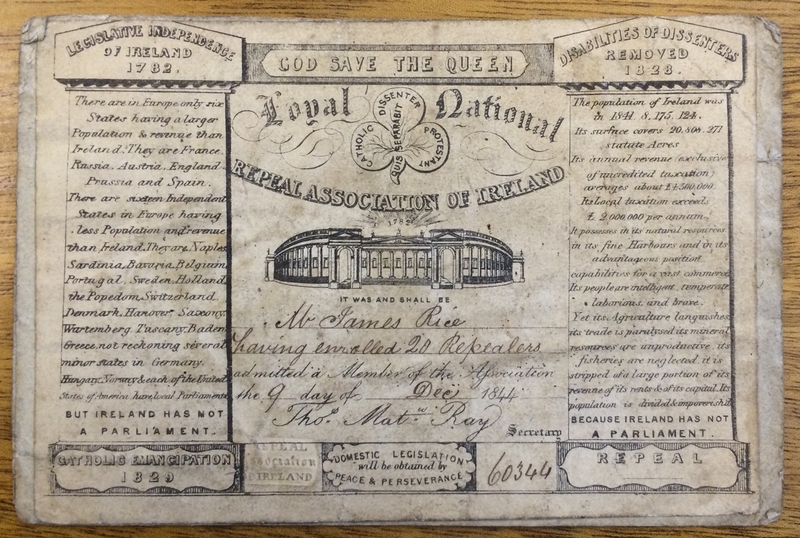 Another new acquisition post in place of the Wednesday portrait, this time highlighting two items recently purchased for our Williams & Potter Memorial Collection on Irish Culture. 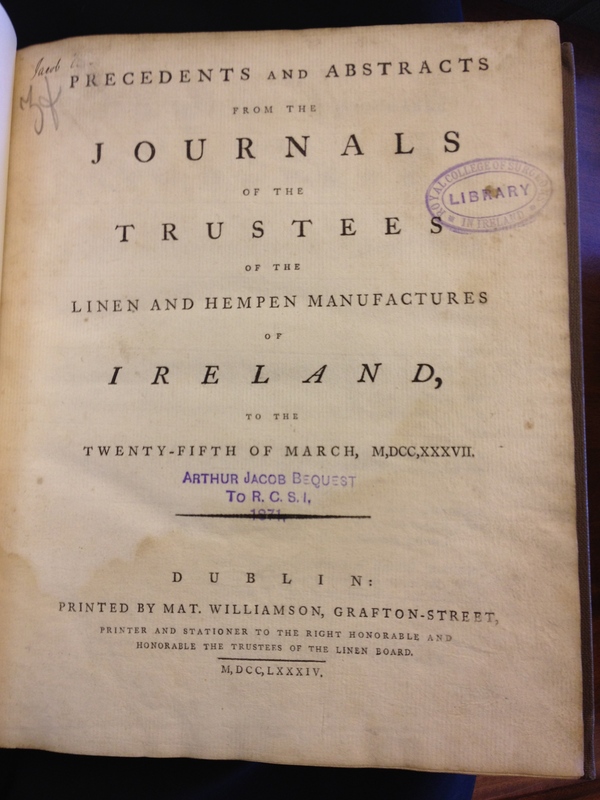 First, the Precedents and Abstracts from the Journals of the Trustees of the Linen and Hempen Manufactures of Ireland…, published in Dublin in 1784. 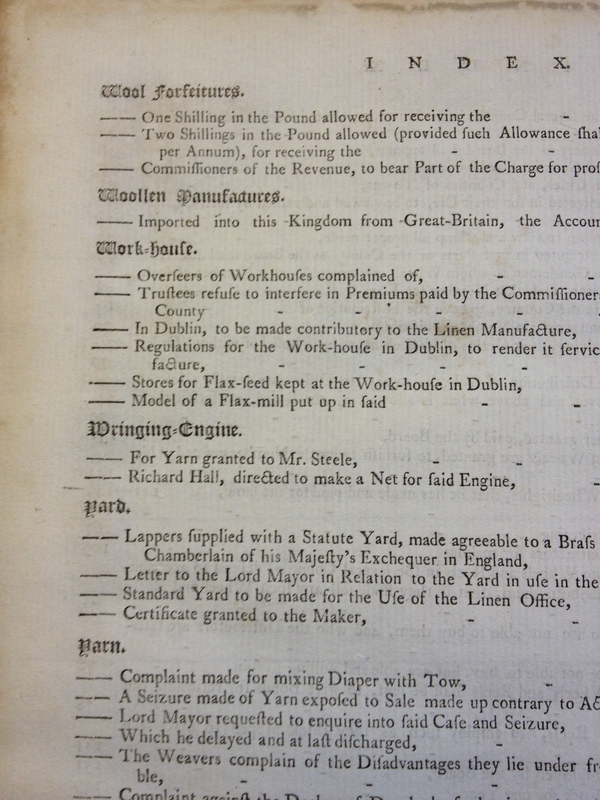 It offers a view of the organization overseeing linen and hemp production in London from 1711 to 1783, as they grappled with issues like workhouse conditions. 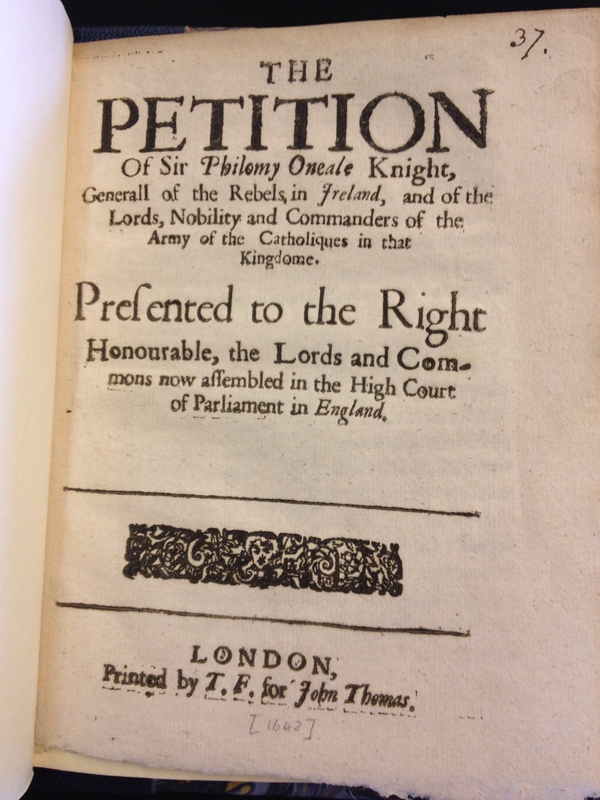 Second, The Petition of Sir Philomy Oneale Knight, Generall of the Rebels in Ireland… (London: Printed by T.F. 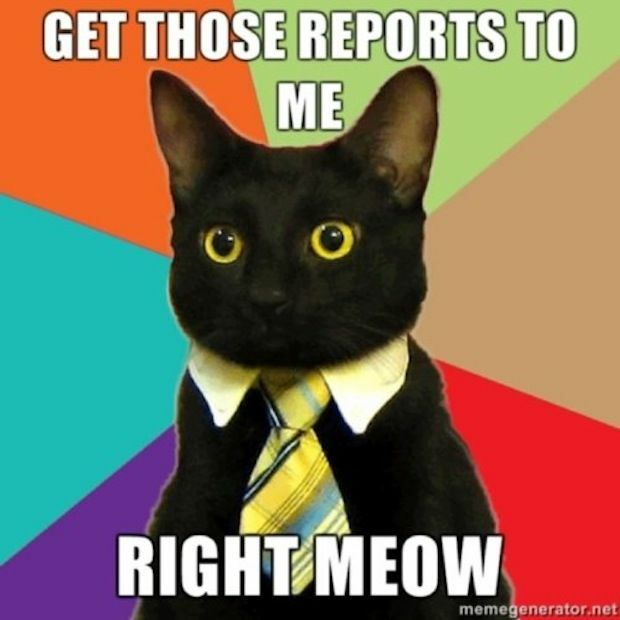 for John Thomas, ). But Felim’s hopes for glory were crushed in large part by the arrival of another O’Neill, Owen, who was chosen leader of the northern armies in place of Felim. Small, cheap, poorly-printed pamphlets like this one (and the title page image above offers plenty of examples of sloppiness) flew back and forth during the 17th-century.This one appears not to have even been a legitimate statement from O’Neill, but rather “a hoax,” according to entry for O’Neill in the Dictionary of National Biography. 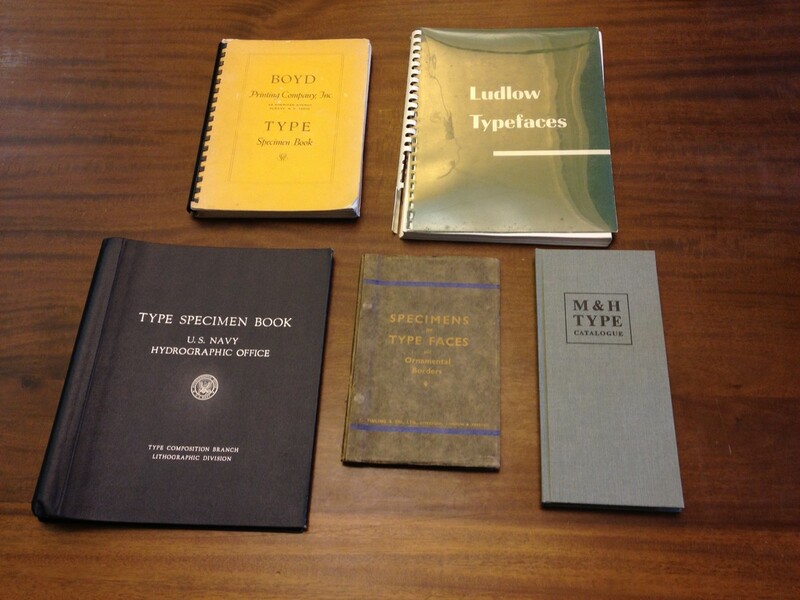 The only other copies in US libraries appear to be located at the Huntington Library and Yale’s Beinecke library. In addition to this account, the Williams & Potter Collection includes a number of other 17th-century pamphlets relating to issues in Ireland. * Thomas Wright, The History of Ireland (London: Tallis, [c. 1854]), p. 708. 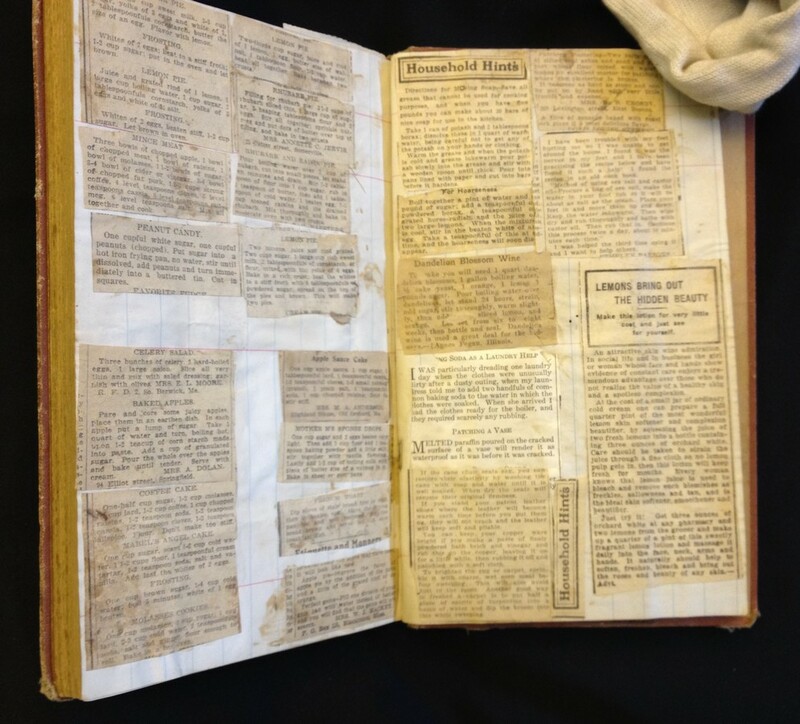 And this catalog of Ingersoll hand printing machinery (with assorted ephemera) is where you would have ordered your Little Gem “Family Printing Outfit” in its “elegant Lithographed TIN BOX.” The only other copy in the OCLC database (listed as belonging to the Rochester Museum & Science Center) has an address of 65 Courtland St. in New York. 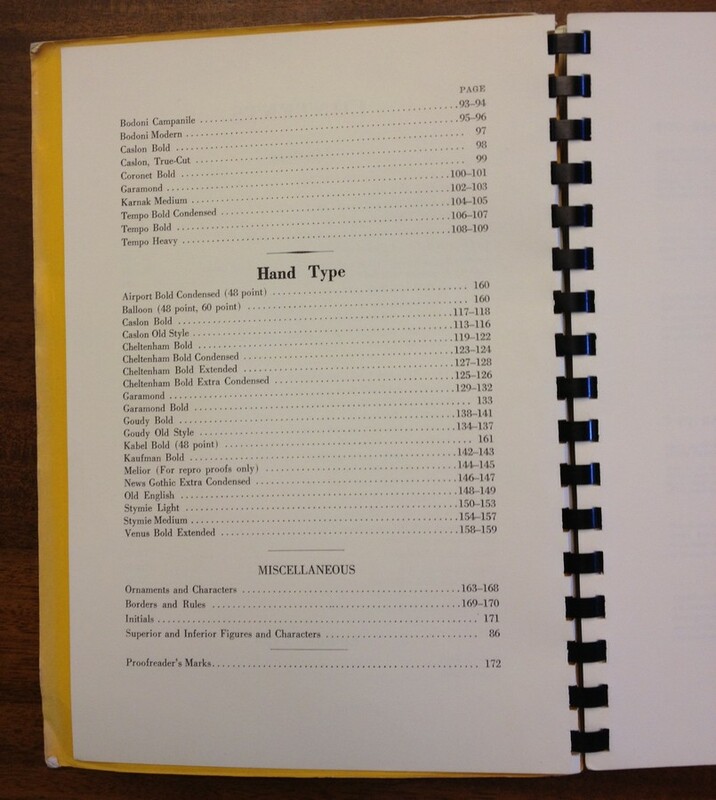 Our copy has an address of 46 Courtland St.
It’s always a particular pleasure when we add a new item that overlaps with more than one of our collections. 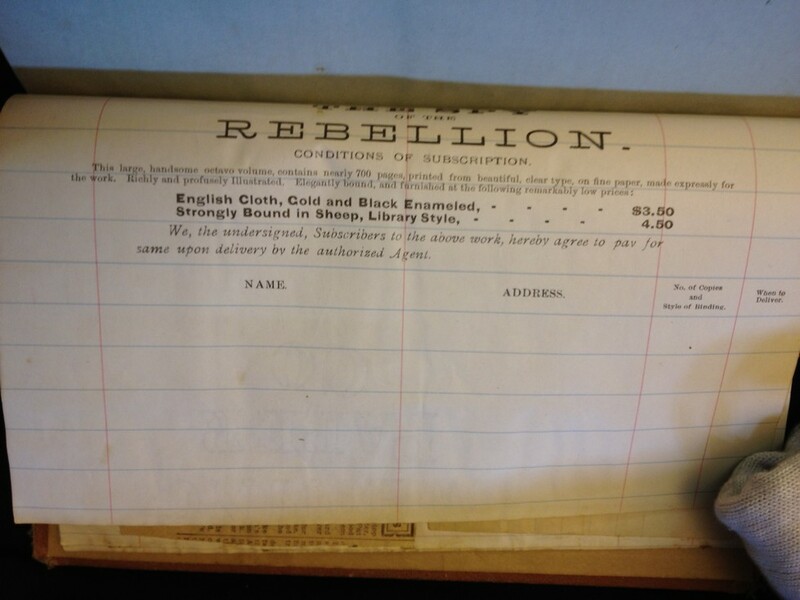 Here’s an example of a recent addition that will be useful for researchers interested in either the Civil War or the history of printing and the book trade: a publisher’s sample book for taking subscriptions to The Spy of the Rebellion. The practice of subscription publishing has been at work for a very long time, going back at least to the seventeenth century. The original model was designed to work around the necessity of raising the capital to publish a book: All the expenses are paid (or at least promised) up-front by interested would-be readers who don’t mind shelling out their money first and getting the book later. This still happens today at places like Kickstarter, where someone has already raised $40,000 to publish something called Dinocalypse Now. 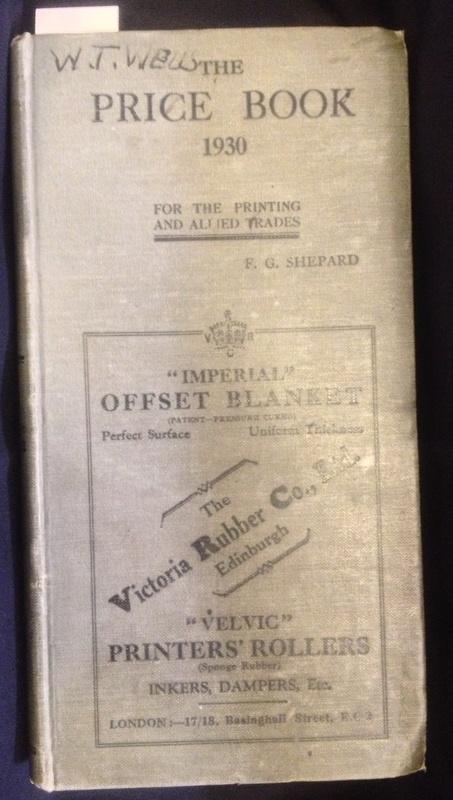 It was also a good way to make money, often by selling books that appealed to many buyers’ decorative sensibilities (they were often published in seemingly luxurious, gilt-decorated bindings) rather than their intellectual curiosity. 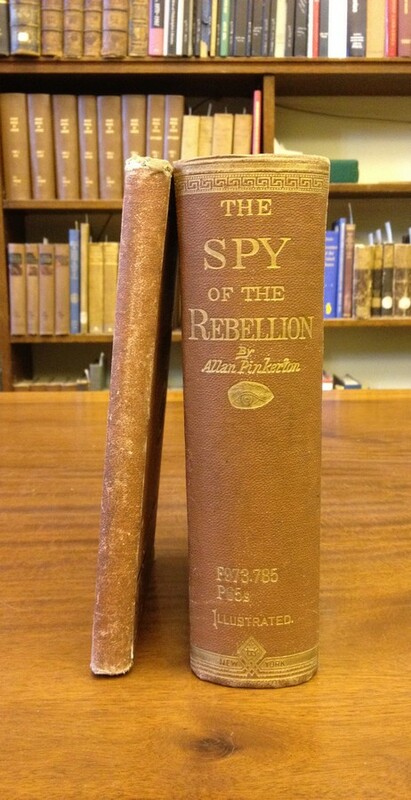 Alan Pinkerton, who founded the famous Pinkerton agency, offered his services to the Union (particularly to George MacLellan) during the Civil War, and The Spy of the Rebellion is a hefty account of his exploits. 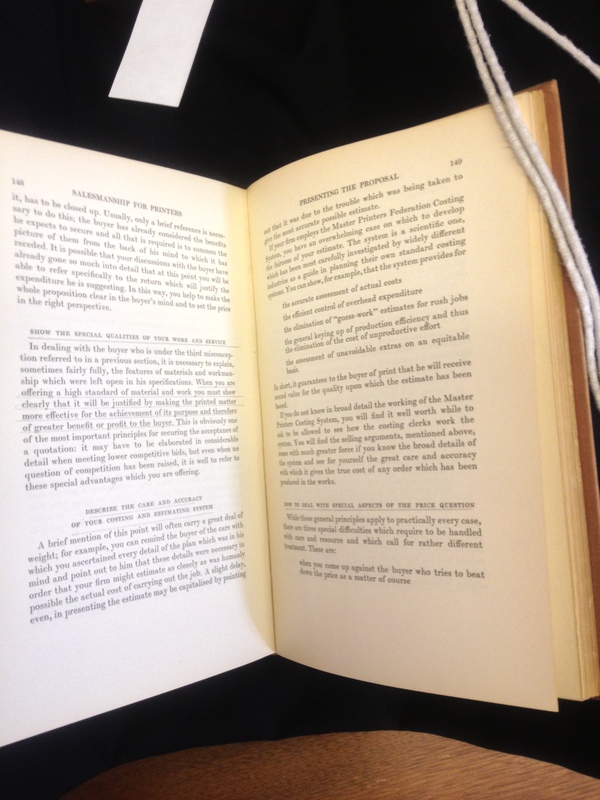 It’s one of several autobiographical works authored by Pinkerton, and a copy has long been part of our Harris Collection on the Civil War & Slavery. 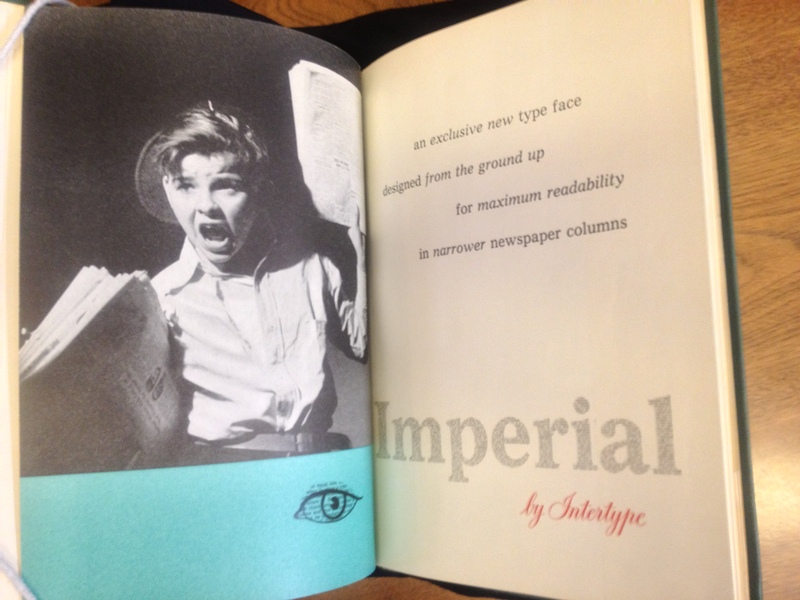 And we’re now able to add a subscription book that was used to sell copies like ours. 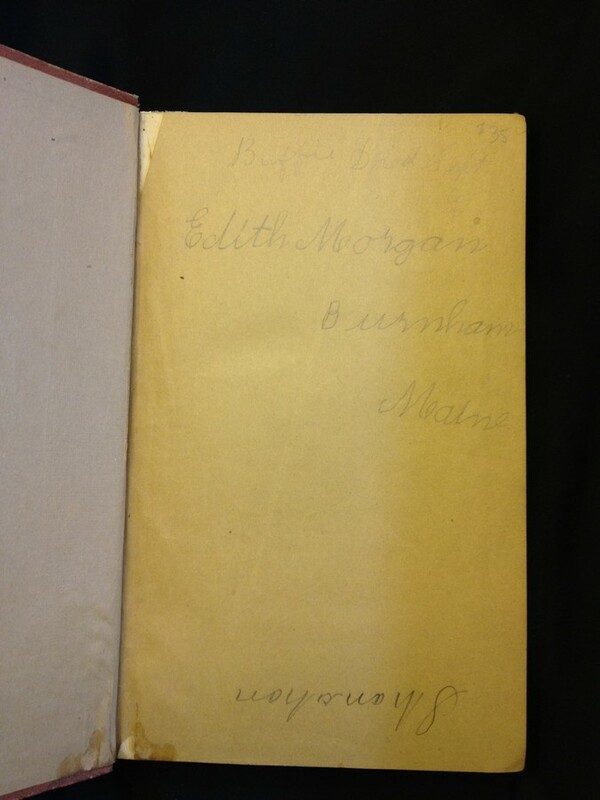 This copy also includes an inscription on the flyleaf — “Edith Morgan | Burnham Maine” — indicating both the type of area in which subscription-takers were most active (Burnham’s current population is around 1,100) and that this particular copy may have been used by a woman. 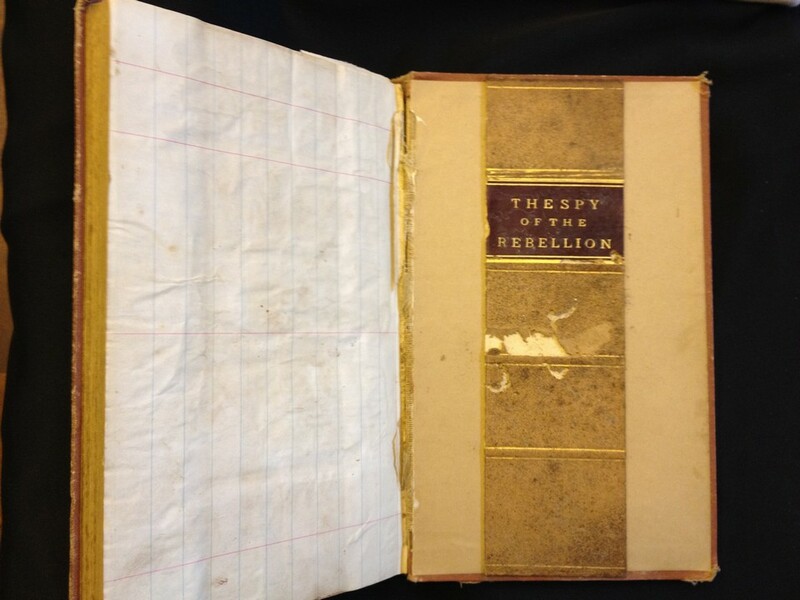 One of the most interesting features of books like this, and one of the reasons they appeal to historians of the book, is that they demonstrate the steps by which a book like Spy of the Rebellion came into being, and point to potential that may never have been realized. 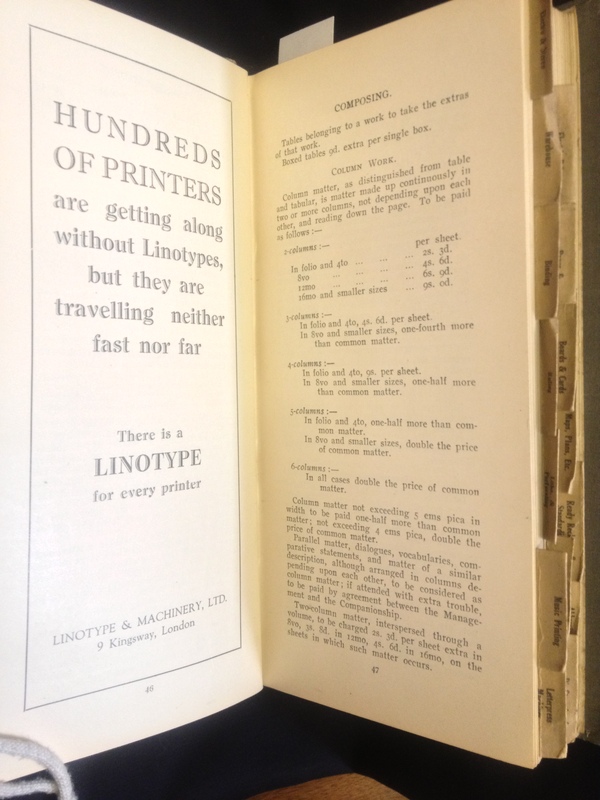 At the very end of this subscription book is pasted in the spine of a leather binding, not at all like the binding of the copy we have here in the library. 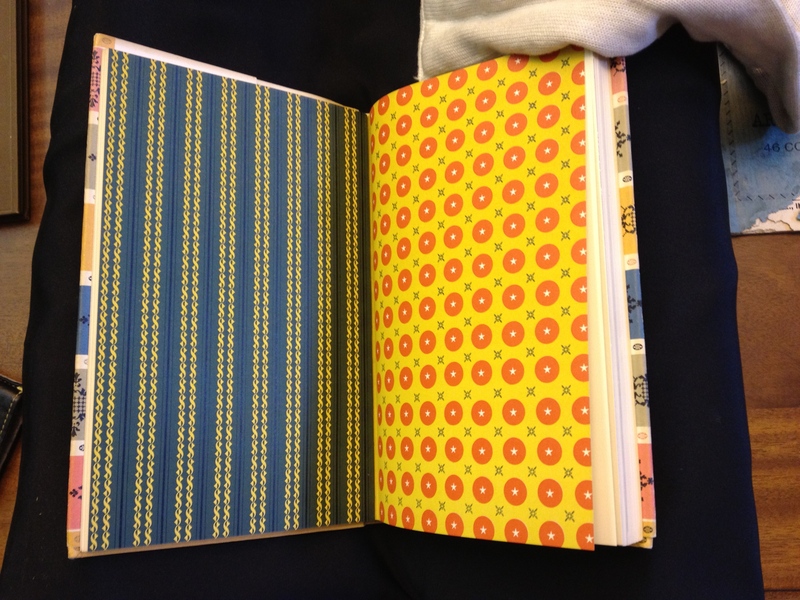 This is presumably the “Sheep, Library Style” binding referenced in the subscription sheet. 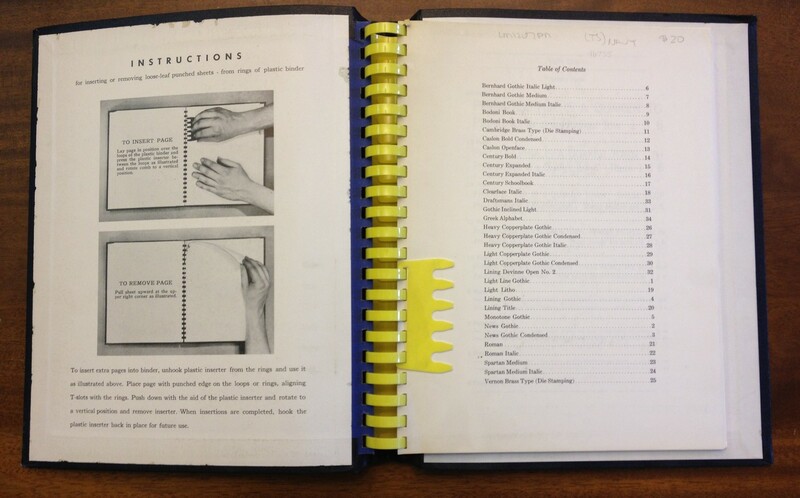 Or maybe it’s a binding that was never offered at all. 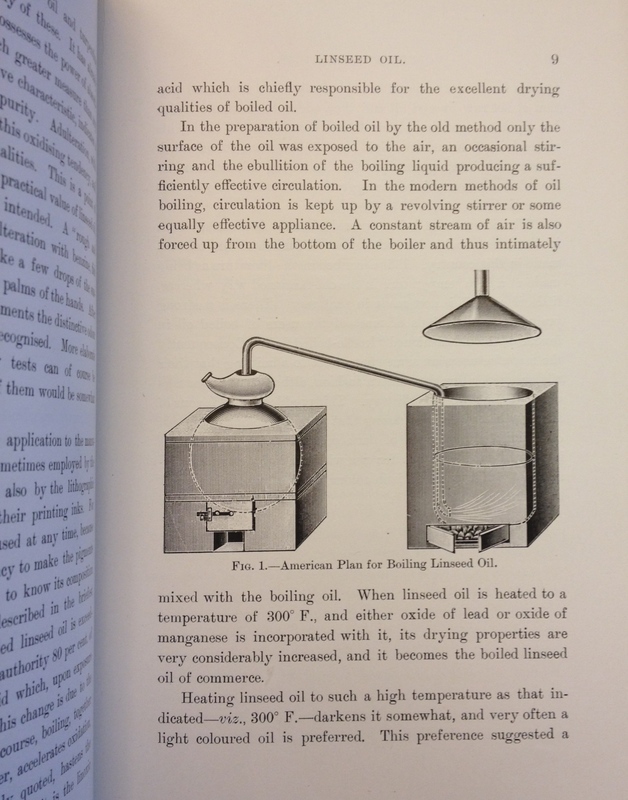 Henry Howe, quoted in Lehmann-Haupt, The Book in America (New York: Bowker, 1951), page 250.